OAKLAND — Police say the probe of journalist Chauncey Bailey’s 2007 killing isn’t flawed and that the case’s lead detective, Sgt. Derwin Longmire, didn’t interfere in other felony cases involving its key suspect, even as an internal affairs investigation of him continues. The Oakland Police Department statement, released during the weekend in reaction to reporting by the Chauncey Bailey Project, also officially acknowledges for the first time that police believe Yusuf Bey IV, the leader of the now defunct Your Black Muslim Bakery, was involved in Bailey’s killing. The only person charged in the Aug. 2, 2007, killing is Devaughndre Broussard, a bakery handyman. Bey IV is jailed on unrelated charges. The Chauncey Bailey Project stands behind the stories it published and broadcast the week of Oct. 26 about Longmire’s handling of the investigation, its executive editor, Robert J. Rosenthal, said Monday. To view those stories, go to www.chaunceybaileyproject.org. See series of stories: Evidence Ignored. “The police statement confirms a great deal of our reporting where we have raised serious and sustained questions about the involvement of others in Bailey’s killing,” said Rosenthal of the Center for Investigative Reporting. An internal-affairs investigation of Longmire is ongoing, and Mayor Ron Dellums last week asked California Attorney General Jerry Brown to also investigate. Alameda County District Attorney Thomas Orloff confirmed Monday that his office is investigating the killing. “We’re doing what we do,” he said, but would not offer a timeframe about when charges against Bey IV or others could be filed. In the statement, police said Longmire didn’t interfere in other cases involving Bey IV as the project reported and that evidence wasn’t ignored. “Media reports have badly misconstrued or misunderstood the facts of this case,” the statement said. Assistant Chief Howard Jordan, who said the statement is attributable to him, refused requests for an interview. The statement claimed the stories were inaccurate in three ways. First, police dispute project reporting about a tracking device hidden on Bey IV’s car. The device shows Bey IV was parked outside of Bailey’s apartment hours before the killing. The project reported that internal police documents show that Longmire learned of the tracking device report from another officer the morning of Aug. 3. Longmire’s case notes contain no reference to the device or his conversation with the other officer, the project has reported. Policy for felonies require that case notes include “the inclusion of any additional documents or evidence discovered during the investigation, including the location, date and time the item was discovered.” The statement said references to the tracking device were made in the case notes of another officer and that Longmire did nothing wrong. The Bailey Project reported that legal experts including a retired judge, retired police officer, former public defender and several criminologists said the evidence was significant enough that it should have been included in Longmire’s case notes. Second, the police dispute the project’s reporting that Longmire failed to analyze Bey IV’s cell phone records. The statement points out what the project reported — that Longmire subpoenaed those records. The statement says Longmire turned the records over to the district attorney’s office. Longmire filed that subpoena on Aug. 24, 2007, received the records on Sept. 21, 2007, but didn’t enter any reference of them in his case notes until Oct. 21, 2007. The cases notes do not refer to the cell phone records again. The project analyzed those records and reported that they showed that when Bey IV was outside Bailey’s apartment his phone was connected with the phone of an acquaintance of Bailey’s. They also showed calls to and from Bey IV’s phone at the time Bailey was killed, including with the owner of a van suspected to be the getaway vehicle in the shooting. Three, the police statement said that Longmire didn’t interfere “in another investigation of Bey IV.” Rather, the statement said Longmire was using his “familiarity and knowledge” of the bakery to aid other detectives. 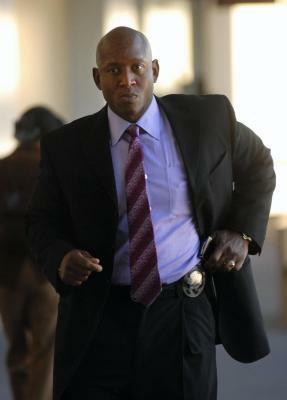 The Bailey Project reported that Longmire interfered in two investigations of Bey IV being conducted by other detectives. Jordan would not answer when asked to which investigation the statement refers although it appears to address the 2005 investigation of the robbery and vandalism of two liquor stores. The project reported that the detective in that case, Dominique Arotzarena, wrote in his case notes that Longmire approached him asking what he could tell the Bey family about the investigation. “I told him not to reveal any details about the case, including the possibility of Bey (IV) being a suspect,” Arotzarena wrote in his case notes. Just after a judge signed a warrant for Bey IV’s arrest, Longmire brought Bey IV to police headquarters even though Arotzarena hadn’t asked him to be involved. “I never asked Bey (IV) to come down to the police department during this investigation, Arotzarena wrote. “He came down to meet with Longmire.” The warrants were “not made public by this police department or me. Longmire organized this visit.” Arotzarena declined to be interviewed. Police officers familiar with the matter said Arotzarena took Longmire’s action as interference and documented it. Oakland Police cited three instances where they said the Chauncey Bailey Project “mischaracterized or misunderstood” its investigation of journalist Chauncey Bailey’s killing. The Bailey Project stands by its reporting in stories published and broadcast Oct. 27 and 28 and available at chaunceybaileyproject.org.